React is great for building large data-driven single page application. It’s main goal is to fast, simple and scalable. According to the latest Stack Overflow Survey, React is in the top ten for developer saleries and it’s one of the fastest growing technology in web development. Starting with React might not be easy at first. With the right online course you’ll get the needed guidance to make progress quickly. Being able to follow practical examples makes it easy to understand this new technology and helps to put your new knowledge into practice. 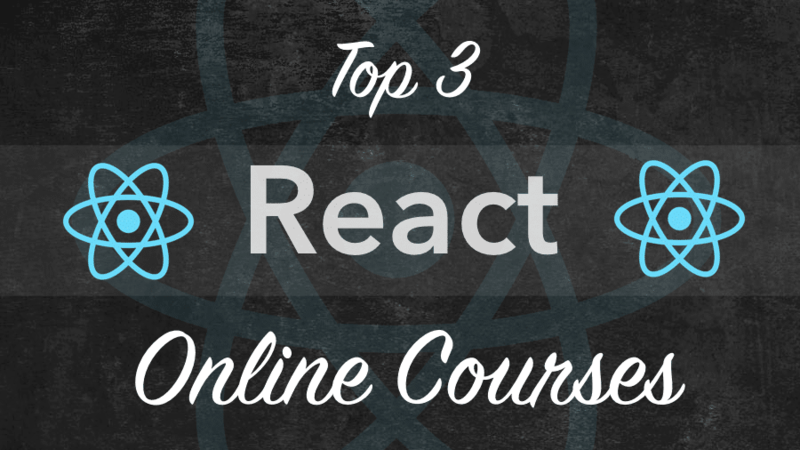 In the following you’ll find a curated list with top 3 React online courses. Learn how to build and launch React web applications using React v16, Redux, Webpack, React-Router, and more! 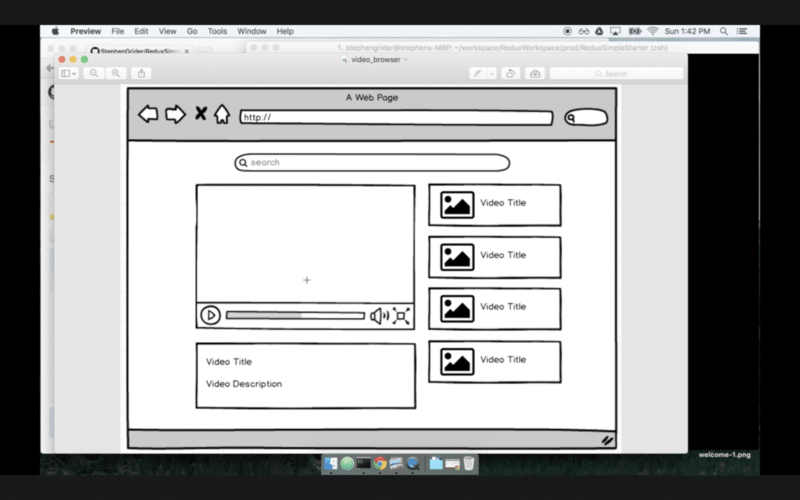 You’ll be building three real-world apps and learn the concepts along the way. By following those practical examples the learning curve is steep and you’ll be able to apply React directly in your own web development project. If you want to learn React and Redux from the beginning and gain a deep understanding of concepts and involved technologies this course is right for you. With nearly 37 hours of video content this course is very comprehensive and packed with information and knowledge. Andrew is a great teacher who makes it easy to follow the content of the lessons. This course will get you up and running quickly. After covering the core knowledge of React you’ll get a deep understanding of building larger React application by introducing you to state management with Redux. Stephen will help you to set up the right React application architecture right from the beginning and you’ll learn how to break down complex components into smaller ones. This will ensure a maintainable applications structure and will enable you to reuse code. With a total of over 69.000 students the course has a vivid community. This is great, especially when you are starting out with React as you can find help easily when you experience problems. Stephen is doing a great job with that course. All the topics are well explained and examples are built step-by-step so that you can follow along. If you want to start with React today, this course is great! Dive in and learn React.js from scratch! Learn Reactjs, Redux, React Routing, Animations, Next.js basics and way more! 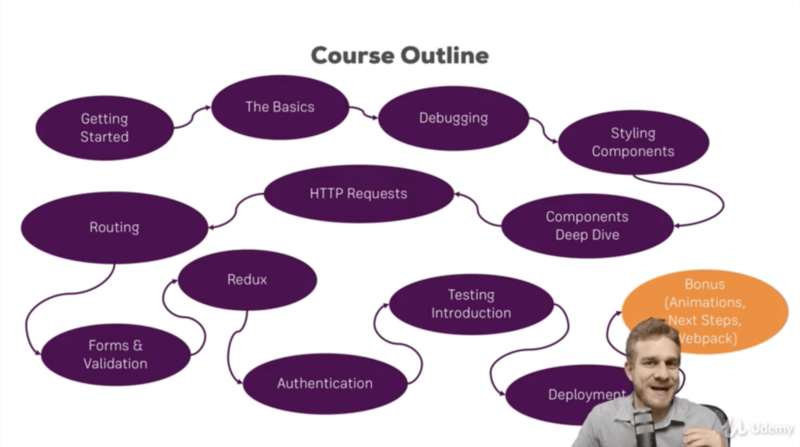 This course is not only touching the surface but dive deeply into React. Furthermore you’ll learn how to use React-router, Redux and Next.js. By the end of this course you will be able to build amazing Single-Page-Applications with React. The course is packed with lots of content. 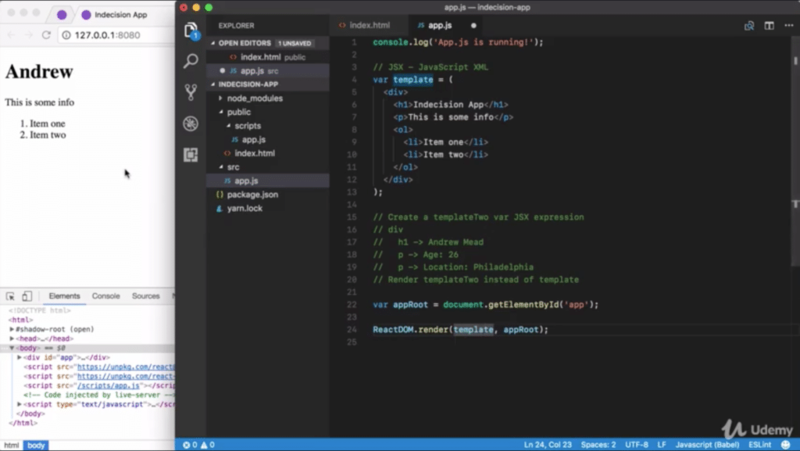 With a total of over 31 hours of video tutorials this course is the most comprehensive one and teaches you everything you need to get a real React expert. Maximilian is a great teacher which makes following the course and understanding React really easy. The rating is outstanding and most of the students are highly satisfied with the course. The detail, precision and effort put forth by Maximillian is something that I have not seen in the online course community for some time. Keep it up! This course is a top recommendation if you would like to learn React from the ground up.